Bughio F, Maggert KA. (2018). 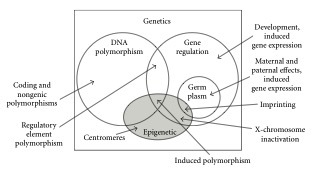 The peculiar genetics of the ribosomal DNA blurs the boundaries of transgenerational epigenetic inheritance. Chromosome Research, 2018 Dec 4.